Neuracel Review: All hype? Or Does it Actually Work? Neuracel Review: Does this nerve pain supplement actually work? Or is it just hype driven marketing? Neuracel is a neuropathy supplement meant to help reduce the pain associated with neuropathy, a disease of the nerves. Its intentions are to reduce the numbness and tingling in your hands, feet, and legs. It also reduces pain and burning sensations, supports and strengthens nerves, and helps you live comfortably again. The company behind the production and manufacturing of Neuracel is Neuracel Supplement, Inc. This company has a slightly lower rating with the Better Business Bureau due to complaints about the supplement but no legal action has been taken against them. The company behind Neuracel makes bold claims about its effectiveness, even going so far as to state that those that suffer from neuropathy don’t need to take additional medications and can even avoid surgery with the help of Neuracel. To do this, Neuracel uses five main ingredients: California poppy, passionflower, lobelia, prickly ash bark, and corydalis yanhusuo. These ingredients are placed into a capsule that the company boasts is safe to be used by both vegetarians and vegans. After a few weeks of taking Neuracel, the capsules are supposed to ease and eliminate nerve pain. 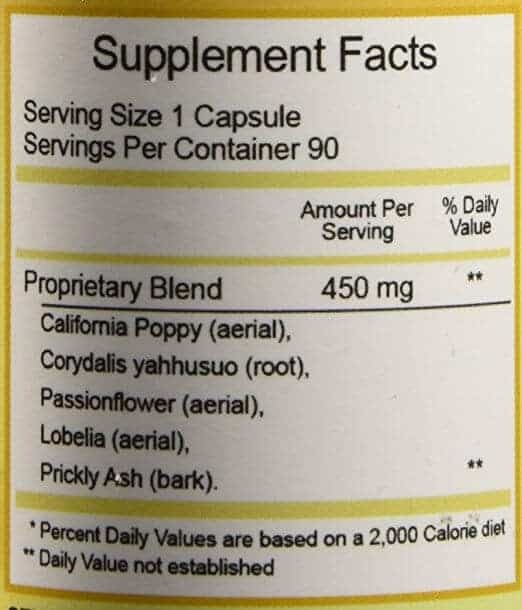 California poppy, the state flower of California, is the first ingredient listed in the proprietary blend of Neuracel. This poppy is a close relative of the opiate red poppy. Though California poppy is not the strong opiate that red poppy is, it still acts as an analgesic to relieve pain. In fact, many commonly use California poppy for relief of tooth pain because of its ability to numb. It is also used to help treat anxiety and depression. Passionflower is native to Peru. This ingredient is commonly found in herbal supplements as a calming agent or sedative. It was actually approved to use as an over-the-counter sleeping aid in the United States but by 1978, people were concerned because not enough studies had been done on passionflower to deem it safe. It is still used frequently in herbal supplements because the medical community does seem to find it effective in sedation, even if mostly anecdotally. Lobelia is an ingredient that has been used worldwide for a number of years. In India, people use lobelia to help treat respiratory problems. In China, they rely on it to help with upset stomachs and even use it to treat cancer patients. Still others use lobelia as a sedative for its calming effects. When applied to the skin, lobelia is believed to help relieve muscle pain and joint lumps, especially from those who suffer from diseases such as rheumatoid arthritis. Prickly ash bark helps to improve blood circulation and treat joint pain. The oils from the tree have been used in the past to treat both rheumatism and digestive issues. Some actually claim that taking prickly ash bark will help you heat up and sweat a fever out. It also has common uses in flavoring for foods and drinks. Corydalis yanhusuo is extracted from the roots of the plant and has been proven to reduce pains associated with neuropathy. In fact, many cultures have turned to corydalis yanhusuo to treat problems such as nerve damage, depression, tremors, intestinal spasms, and high blood pressure. It is common to see this ingredient in Chinese herbal medicines to reduce pain and relax muscles. Neuropathy can be debilitating. 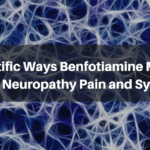 Having a supplement that claims itself to be the miracle drug in treating neuropathy pain may sound like a heavy claim but there’s no harm in giving it a try. Neuracel claims to allow its users to resume all activities that neuropathy inhibited them from doing before. If someone suffering from neuropathy has difficulty in day-to-day living, such as even walking up the stairs in his or her home, Neuracel might be able to allow this. In addition, users may even be able to take up hobbies again that they’ve had to give up. No matter if your hobby is something as active as golfing or even playing with your grandchildren, Neuracel can help you reclaim some fun in your life. Additionally, Neuracel is made from all-natural ingredients. There are so many foods, supplements, and other things that we ingest or put in or on our bodies every day that are manufactured in a lab. These products can harm us and our bodies might not be able to effectively break them down. Yet, all of the ingredients in Neuracel are found in nature. They’ve also been used in several countries around the world for years for medicinal purposes. Neuracel also treats many parts of the body at the same time. Sometimes, when we are forced to take medications prescribed by a doctor, we might need several just to treat all of our symptoms. Neuracel claims to treat all problems associated with neuropathy with just one pill, meaning there is less that we have to put into our bodies. Finally, if Neuracel helps to treat the root causes of pain in your body, you may find yourself achieving more restful sleep and relaxation, something needed to maintain your health and happiness. Some of the side effects of Neuracel come from the ingredients used. Passionflower, in particular, is thought to have several possible side effects, though many are rare. Some of these include vomiting or nausea, dizziness, drowsiness, irregular heartbeat, and confusion. Not many studies have been done regarding the safety of passionflower, especially in large doses. Prickly ash bark is also thought to cause liver problems if used for a prolonged period of time. Despite these, the doses seen in the proprietary blend of Neuracel are safe. Many people do not report side effects, and no known major side effects are listed because the ingredients are all natural. Customer Complaints: What About Neuracel Doesn’t Work? Some believe that Neuracel does not work. Since Neuracel is a supplement, it is not regulated by the Food and Drug Administration so there aren’t a lot of studies done on its effectiveness. Additionally, not much is known on how safe the ingredients are to take over extended periods of time. Neuropathy is not something that is magically cured by a blend of herbs so a long-term commitment to a supplement may be necessary but unsafe. Nursing and pregnant mothers should also avoid the product because not enough studies have been done to prove their safety for an unborn baby. Online Reviews: What Are Customers Are Saying About It? The customer reviews vary but most consumers on Amazon have left negative reviews regarding Neuracel. Some of the positives state that it has helped them find comfort and relief. 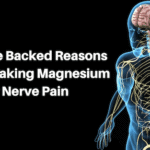 Amazon user Nodakg50 states, “Neuracel has helped my nerve pain immensely…I don’t know whether [the negative reviewers] were expecting miracles, but I was just hoping for a measure of relief.” They continue to state that this supplement helped them immensely. Not many of the customers are middle-of-the-road reviewers because the largest percentage of viewers rates the product one star while the next highest percentage was for five-star ratings. One three-star reviewer, however, states, “I found some improvement…but I do worry about the effect it has on the GI tract.” She states that her stomach was hurting a bit after using Neuracel so she stopped taking it. Neuracel does seem to offer a money-back guarantee to customers who are dissatisfied with their product. If users do not see a difference within thirty days, they can send the product back with no risks, even if the bottle is empty, and Neuracel will refund them their full purchase price. 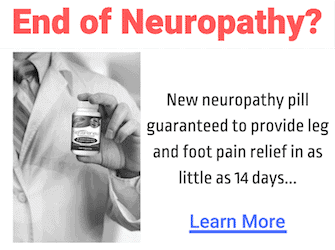 Neuracel might be worth a shot if you are suffering from severe neuropathy symptoms. The fact that Neuracel will give you your money back proves that there is no risk in trying the product. The only concern that users may have is the lack of clinical evidence for the product. Many people rave over herbal supplements being natural ways to help the body heal, yet their lack of regulations can make some people leery. 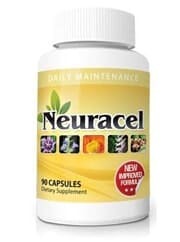 Neuracel can be easily purchased on the Neuracel website in a bottle of ninety capsules. The starting price is $64.95 for one bottle. One bottle is meant to last for thirty days with the suggested dosage being one capsule three times daily. What Are Some Legit Alternatives? 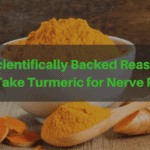 If Neuracel sounds to be a bit of a risk and you’re on the fence about purchasing, another alternative to help fight neuropathy pain is Nerve Renew. Nerve Renew uses more common ingredients that we see on the shelves daily: Vitamin B, Vitamin B12, and Stabilized R-Alpha Lipoic Acid along with a proprietary blend of its own. The blend includes herbs such as oak straw extract, feverfew extract, skullcap extract, and passionflower. 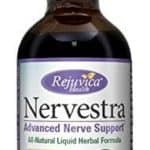 The company that makes Nerve Renew does suggest that customers use the product for a minimum of four months before they are expected to see results. Nerve Renew claims to decrease tingling and numbness, relieve nerve pain and burning sensations, and increase nerve function. Nerve Renew does claim to meet all standards set forth by the government in regards to using its ingredients. It also makes use of a money-back guarantee that stands for one whole year and is an all-natural product. Though both of these products claim to be all natural, there are not a ton of scientific studies to back their efficacy. To learn more about it, read our review. Neuropaquell Review: Is it a Legit Neuropathy Supplement? Should You Buy It? Nerve Pain Away Review: Does This “As Seen On TV” Product Actually Work? Or Is It Just Empty Marketing Promises?